We’re two guys who love Resident Evil 4 and want to help create the definitive graphical experience for the game. Cris is from the midwest in the US, while Albert lives in Spain. Albert’s experience goes all the way back to the 2007 PC release of the game, for which he created one of the most complete and well-received texture packs, while this is Cris’ first effort. The Resident Evil 4 HD Project has released a new playable area of the game. The game’s Castle level has now been given the HD texture treatment, completely overhauling the game’s visuals and even correcting some modelling, lighting, and level design errors. Head on over to this page to find out how to download and install the necessary files for the HD Castle section. The developers note that you may also need to download a 4GB patch tool to prevent potential random crashes when playing with the mod. The dedication behind this HD overhaul goes beyond what is usually seen in other similar projects. 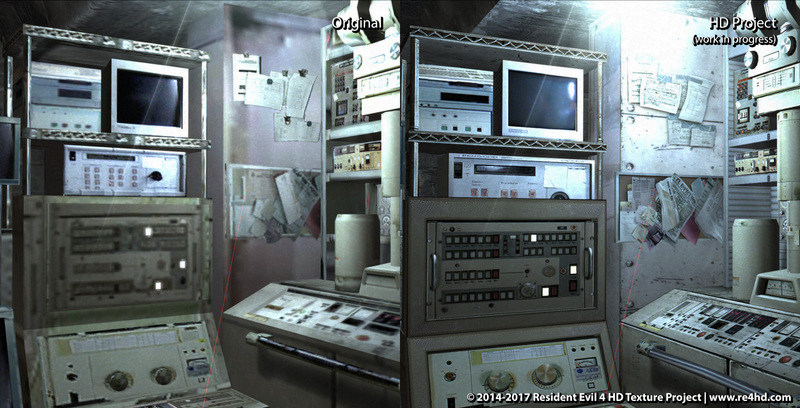 The developers note that they even tracked down some of the original machinery and source photographs of Spanish buildings that Capcom first used in the creation of Resident Evil 4 – and new photographs were used as the bases for the HD overhaul. The developers behind the RE4 HD Project have been gradually releasing parts of the mod as they complete it for the game’s individual areas. You can check out the team’s overall progress here, while you can download the previous release for the game’s Village area here. The village, castle & island release with all the other enhancements. Oh my GOD! Mod of the year material! AMAZING JOB GUYS! I can't wait to get my hands on the full release! Great job so far, guys! So excited to get back into this game with this mod, keep up the great work team and thank you for all the effort and passion!! Impressive. Will you change the HUD too (smaller and nicer) ? The gameplay ? Resident Evil 4: HD Project has not been tagged yet.